Rising on the world stage, dengue fever is transmitted by mosquitoes — and apparently air travel too. In July 2017, the World Health Organization's official report tallied 80,732 cases of dengue fever in Sri Lanka, with 215 deaths so far in 2017. The announcement notes that is "4.3 fold higher than the average number of cases for the same period between 2010 and 2016." On the ground, the Red Cross and other relief agencies are counting over 100,000 cases this year, almost double the total number of cases reported last year. The true numbers of dengue fever that occur anywhere are dicey because dengue infections without symptoms or with mild symptoms aren't always tested for dengue. Unlike many tropical diseases, dengue fever has shown no fallback when challenged with improved medical care, better identification of disease vectors, and communities with more knowledge of what could make them sick. In a study published in PLoS Neglected Tropical Diseases, a team of researchers used modeling, genetic sequencing, and socioeconomic, migration, and transportation trends to reach startling findings. The collaboration of global warming and global air travel could bring dengue to the doorsteps of countries not accustomed to dealing with the devastating third-world tropical disease. What Is 'Viral Lineage,' and Why Does It Matter? In the PLoS study, researchers note that in 2014 Japan suffered its first dengue fever outbreak in decades. That same year, dengue fever struck in other Asian countries, including Vietnam, Thailand, and China. At present, about one-third of the world's population live in dengue-friendly areas, and it is the leading cause of death and disease in the tropics, according to the Centers for Disease Control and Prevention. Dengue is a flavivirus, related to Yellow Fever, Zika, Chikungunya, and West Nile virus. Spread by mosquitoes, this a particularly ugly group of pathogens. Dengue can cause severe symptoms, including hemorrhagic fever, which causes fluid and blood loss from leaking blood vessels and damage to internal organs. At this stage of the infection, more than 20% of patients will die. According to the PLoS study, patients who suffer a first, mild dengue infection are more likely to suffer the more severe complications of dengue hemorrhagic fever if they are infected again by a dengue strain from a different viral lineage — or viral family line. Previous research suggests that deadlier symptoms with a second infection are the result of an "antibody-dependent enhancement." Second infections cause more severe symptoms because your body has seen a different strain of the same disease before. Or — the first infection primes your immune system for a more serious reaction if attacked a second time by a different strain. If this follows, the authors suggest that multiple strains of dengue popping up in the same geographic region could spell real trouble. And it seems to be that co-circulation of multiple strains of dengue is actually what is happening, especially in Asia. Because of these disturbing shifts in strains and what happens when they collide, researchers set out to crunch the factors driving the trend. The genetic diversity of the dengue virus strains studied is dynamic and mobile, following the air transportation networks and global transportation hubs throughout Asia. The virus can spread and travel through people or mosquitoes. If enough people carrying enough of the viral material in their bodies travel to an area with ripe environmental conditions for transmission, the strain may become established in that area. Mosquitoes can travel too, and not just down the road, but on airline flights. The authors referred to an incident in 1994 when 8–20 Anopheline mosquitoes were imported into France, on a flight, in one three-week period. The Anopheline mosquito transmits the parasite that causes malaria. Like invasive species, mosquitoes that take long flights and find themselves in a comfortable environment, can take up residence, find a blood meal, start a family, and the next round of infection. Disturbingly, circulation and mixing of dengue strains leads to "lineage replacement and viral introductions," that are expected to increase with human mobility. This is a complicated way of saying that human travel is likely to create a game of dengue strain Whack-a-Mole, if it has not already. While one-third of the inhabitants of the planet now live in sub-tropical, or tropical climates conducive to dengue transmission, with climate change, those numbers could rise. 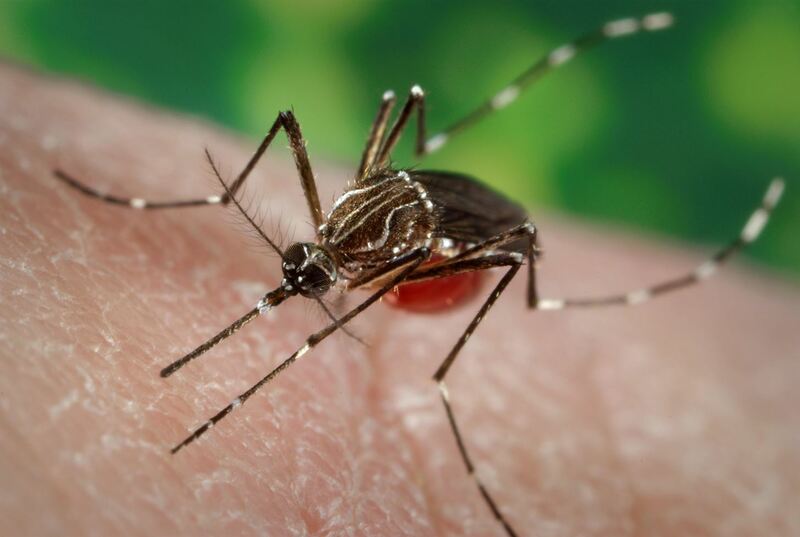 Mosquitoes that are the vectors, or carriers, of dengue and other flaviviruses could spread beyond their current geographic range as warming temperatures make life more pleasant for them further north. Future trends in global mobility could potentially accelerate the appearance and diffusion of DENV (dengue virus) worldwide. Prevention and control of dengue epidemics requires a better understanding of its mode of geographical dissemination, especially for countries in the tropics. Dengue fever is a member of a dangerous band of mosquito-borne viruses. As go the mosquitoes, so go the infections. Transmitted by infected Aedes aegypti mosquitoes, dengue fever was once endemic to the US, and today, most cases in this country are traveler-associated. But with climbing temperatures and regional spread of mosquito species, travel related infection may ultimately become more dangerous around the world — and here at home.